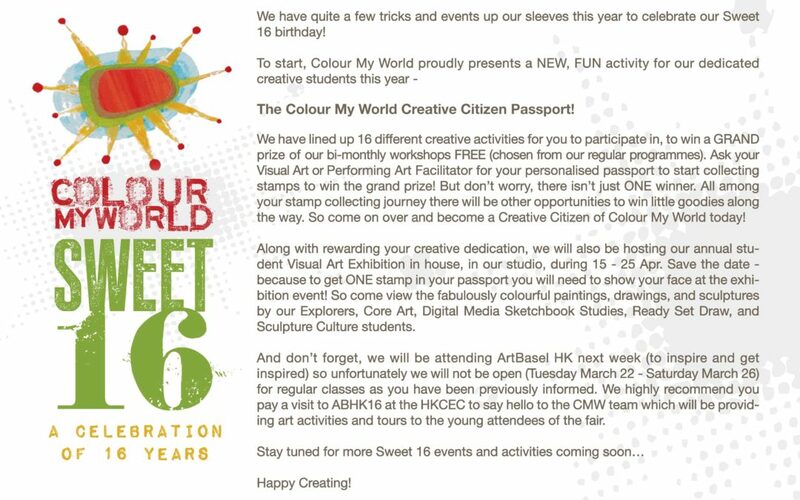 Happy Sweet Sixteen, Colour My World! For more infomation on how to become a creative citizen or any of our Art, Media, Drama or Writing programmes, email us at info@colour-my-world.com or call: 2580.5028. Buying vs. Creating: What’s more valuable? © 2018 Colour My World | Sitemap | Responsive Web Design and Development by: FunctionEight Limited.